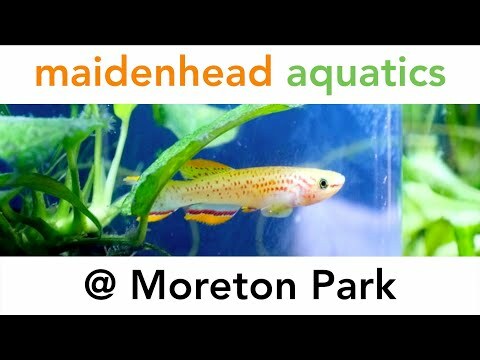 Maidenhead Aquatics at Moreton Park opened July 2010 and is situated on the A483, easily accessible approximately four miles from Oswestry. We stock a full comprehensive range of dry goods to suit the beginner or the enthusiast, including aquariums for every taste and aspect of fish keeping. We also stock pond filters and accessories that will make your water garden sparkle. We have a great selection of livestock including livebearers, tetras, cichlids, fancy goldfish, pond fish, koi, marine fish and invertebrates. We also have catfish and some "oddball" species to allow you to create your own unique aquarium or water garden. Together with our regular promotions and numerous special offers, our friendly and experienced staff are always on hand to help so we're well worth a visit!